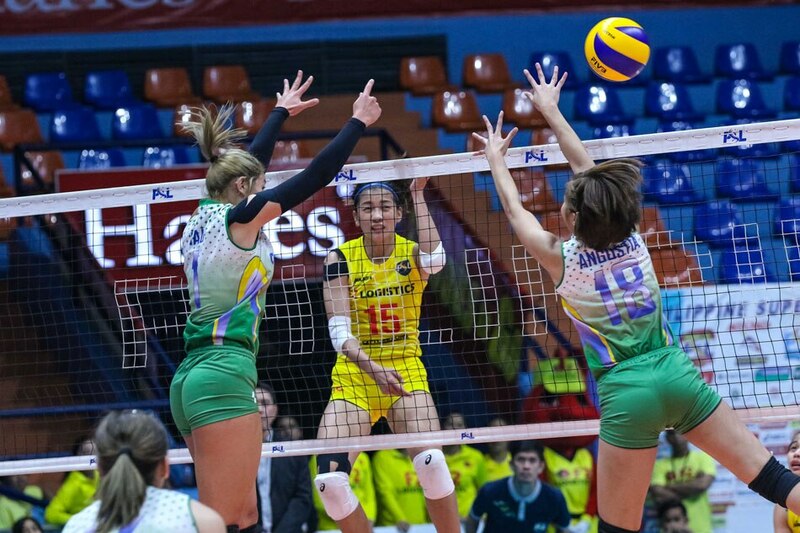 MANILA, Philippines – A well-rested F2 Logistics squad flexed its muscles in dominating Cocolife, 25-13, 25-16, 25-8, in the Philippine Superliga All-Filipino Conference on Thursday afternoon at the FilOil Flying V Centre in San Juan. Aby Marano impressed on both ends as she towed the Cargo Movers to their third straight win of the season-ending conference. Marano, the captain of the women's national volleyball team, had 10 attacks, three blocks, and three aces for a total of 16 points as the Cargo Movers warmed up for their showdown with Petron on Saturday. "We had a good rest prior to this game," said F2 Logistics head coach Ramil de Jesus. "That rest and recovery had a very good effect on them, because they had a good connection on the court." Kianna Dy and Majoy Baron had 12 and 10 points, respectively, while the Cargo Movers played good defense on Cocolife's hard-hitting Filipino-American spiker, Kalei Mau. "They had good exposure with the national team," said de Jesus. "That's why I challenged them. I told them that they can't afford to have a low performance because you're coming off a good finish in the international arena." Mau, who campaigned for the Arizona Wildcats in the Division I of the US NCAA, was limited to only five points, her lowest output since joining this tourney. The Cargo Movers will now turn their focus on the Blaze Spikers, who dethroned them in the finals of the All-Filipino Conference last year.